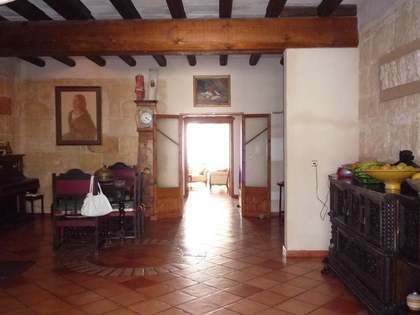 Charming house for sale in Ciutadella de Menorca Old Town with a 55m² terrace and views of the cathedral. 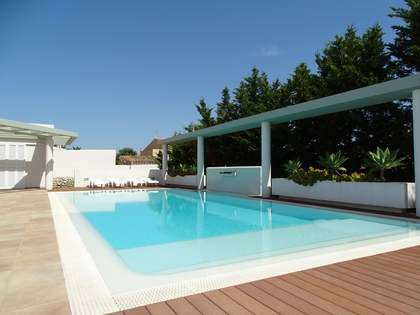 This beautiful home for sale in Menorca is distributed across various floors and exudes Menorcan charm. The ground floor, with its beautiful domes ceiling and exposed stonework, is home to the kitchen-diner opening onto a pleasant 25m² courtyard, there is also a bedroom and toilet on this floor. The master bedroom with ensuite bathroom and lounge is on the first floor along with another double bedroom also with ensuite bathroom. Heading up to the second floor, here we find the 2 remaining double bedrooms, one of which has a built in wardrobe, and a bathroom. The top floor is a 55m² terrace with stunning views of the nearby cathedral. The property is presented in very good condition having been fully renovated in 2015 including the installation of thermal and acoustic insulation and new wiring and plumbing. For year-round comfort there is hot and cold air conditioning in every room. 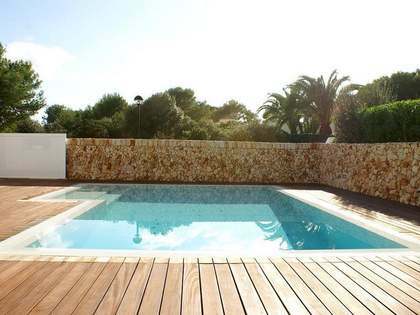 A beautiful home for sale in Ciutadella de Menorca. 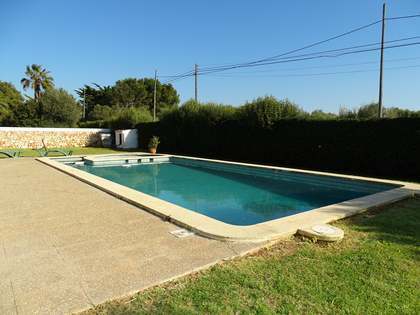 Property located in the historical centre of Ciutadella de Menorca, to the very west of the island of Menorca. The area boasts a beautiful natural port and fabulous beaches whilst the old town itself has retained its historical charm throughout the years.